To provide our members reliable and affordable electric service consistent with sound business and engineering practices. To be conscientious stewards of our resources and adopters of beneficial new ideas and technologies, with clear and open communications, meeting competitive, political and technological challenges of our industry. Integrity. Be honest, open, and fair minded in the conduct of all Association matters. Safety. Regard safety of employees, members and the public as a primary objective in all policy and business decisions. Reliability. Anticipate and mitigate risks that might cause or prolong interruption of electrical services. Affordability. Provide the lowest cost power consistent with safety, reliability and responsible environmental stewardship, while anticipating and mitigating risks that might threaten the financial health of the Association. Service. Reflect respect for members and employees in all policies and practices and provide exceptional member services consistent with safety, reliability and affordability. Community. Support member communities through policies and business decisions that sustain and enhance local economic vitality and quality of life. Accountability. Be accountable for protection and responsible use of our resources, professional completion of our work and recognition and correction of our deficiencies. In the early part of the 20th century, society was divided into rural and urban, the haves and the have-nots. Electricity was the great divider. The rural people of America were the have-not’s. They were told that, for them, it was not profitable for the electric companies to provide electricity. No profit, no lights. President Franklin D. Roosevelt changed that forever by offering the people a New Deal. As part of the New Deal, the Rural Electrification Administration was established in 1935. The next year, the Rural Electrification Act was signed enabling loans to be made to cooperatives ready to electrify rural America. Shortly after that, in December 1940, approximately 150 people gathered at the Black Forest Community Center to see about getting electricity to the areas beyond Colorado Springs. They established a cooperative and incorporated in 1941. They applied for, and received, a loan to build an electric system. The co-op started by purchasing Commonwealth Electric Company and its generator in Limon. The Co-op also purchased the power lines running along Highway 24 to Falcon. Membership in the co-op at that time was $5, and members were expected to help build the lines to their houses, contributing equipment and just plain hard work. This was the foundation for today’s cooperative, Mountain View Electric Association. MVEA still operates on the same principles it started with years ago. We are still owned by the members we serve and we work to provide the very best in service. The original members who worked hard to improve the quality of life for today’s members changed our rural service area forever. Remember, as a member, you are part of a great tradition – a rural cooperative. Here are some interesting facts about your cooperative. Some of these numbers are approximate since MVEA is growing daily. The Cooperative Difference & Member-first MVEA Programs: Explore the benefits of being an electric cooperative member! In 1941 when Mountain View Electric Association, Inc. (MVEA) was incorporated, our founding members were dedicated to establishing an electric cooperative that would provide rural communities with access to reliable and affordable power. We are an electric cooperative that was created by the members we serve as part of the historical electrification of rural America. Due to their commitment, light was brought to night and modern convenience arrived to a world of hard labor for small tasks. To our founding members, being an electric cooperative member was a point of pride. 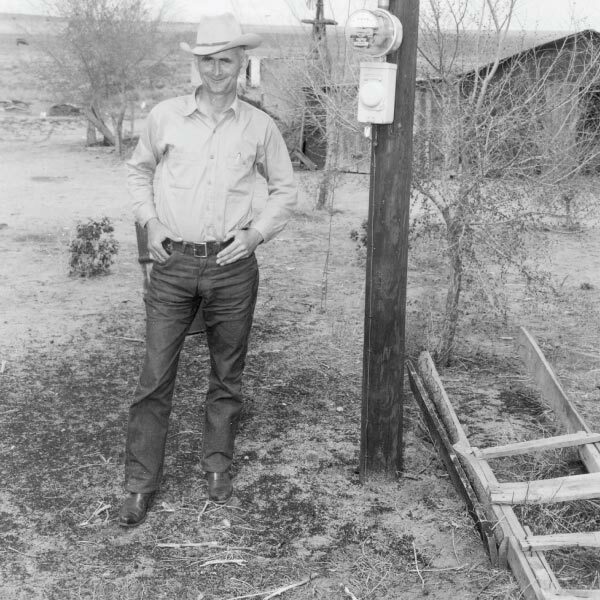 Fast-forward to today and the benefits of being a “modern-day” electric cooperative member may not be as historically obvious as remembering when the lights came on for the very first time, but that doesn’t mean the benefits no longer exist. In fact, there are many more benefits to being an electric cooperative member than there were in 1941. When you are a member of a cooperative, you are more than just a customer. You are a member with an investment in an organization that is founded on the principles of community and integrity. In a world that is influenced by global markets and large investor-owned corporations, being a member of a cooperative means being part of something special — something local, something trusted. As a member owned electric cooperative, we are guided by the “Seven Cooperative Principles” that are recognized industry-wide: Voluntary and Open Membership; Democratic Member Control; Members’ Economic Participation; Autonomy and Independence; Education, Training and Information; Cooperation Among Cooperatives; and Concern for Community. These seven principles trace their roots back to 1844; yet, how we incorporate these principles into our business model during an era that is influenced by changes in rural communities, government regulations, and technology is more important than ever. We call this approach to governance and dedication to our members and community “The Cooperative Difference.” We take great pride in building partnerships and creating programs that provide our members with programs and services that “traditional” utility companies do not regularly provide. As a member, your investment in the cooperative is returned to you in the form of capital credits. This is part of what distinguishes a cooperative from an investor-owned utility. Since cooperatives do not earn profits, any excess revenues (net margins) that remain once all expenses have been paid for the year are divided between all MVEA members as capital credits. Capital credits are retired (which means paid) to members when the Board of Directors finds the cooperative financially capable of doing so. Dedication to fiscally responsible planning and business practices has enabled MVEA to retire over $36.4 million in capital credits to our members in the last 10 years. Do we owe you a REFUND? When you participate in one of our energy efficiency programs, you not only use less electricity and save on your monthly electric bill, but you are also helping to reduce the overall demand for electricity within our co-op territory. Energy efficiency helps us all save. It is a team effort. And, it can start with something as small as a light bulb. MVEA members can apply for rebates by completing the Co-op Cares Energy Efficiency Rebate form that is available on our website. MVEA offers our members a chance to purchase blocks of green power to help spur further development of renewable energy sources. The purchased green power blocks help offset the use of fossil fuel generated power. As the cost of research and development for renewable energy goes down, so does the cost to purchase green power blocks. MVEA started offering green power in 2000 at the cost of $2.50 per 100 kWh block. Today, the cost is only 10¢ per 100 kWh block. MVEA started the Operation Round Up program in 2000 to assist non-profit organizations, communities with special needs and individuals who have suffered from loss, personal disasters or medical emergencies. Operation Round Up funds stay in the MVEA service territory. Members have given over $2.6 million to this program by rounding their bill up to the next dollar. The maximum contribution for the year is less than $12. It is a small price to pay for helping our communities.